Is Adamas Pharmaceuticals Inc (ADMS) A Good Stock To Buy? Is Adamas Pharmaceuticals Inc (NASDAQ:ADMS) a good stock to buy right now? Prominent investors are indeed becoming more confident. The number of long hedge fund positions that are disclosed in regulatory 13F filings improved by 2 lately. ADMS was in 17 hedge funds’ portfolios at the end of September. 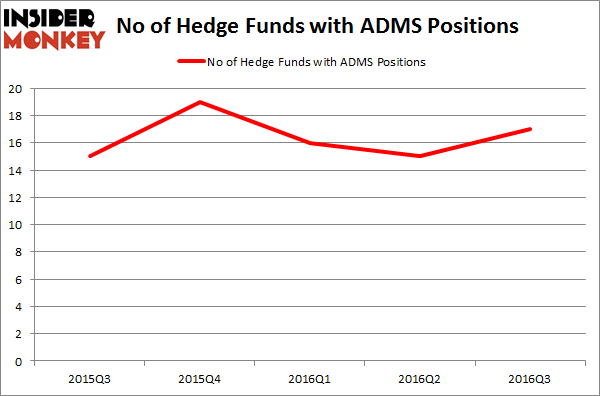 There were 15 hedge funds in our database with ADMS holdings at the end of the previous quarter. At the end of this article we will also compare ADMS to other stocks including Columbus McKinnon Corp. (NASDAQ:CMCO), CNX Coal Resources LP (NYSE:CNXC), and Triumph Bancorp Inc (NASDAQ:TBK) to get a better sense of its popularity. Now, we’re going to take a gander at the new action regarding Adamas Pharmaceuticals Inc (NASDAQ:ADMS). At Q3’s end, a total of 17 of the hedge funds tracked by Insider Monkey were long this stock, a change of 13% from one quarter earlier. Below, you can check out the change in hedge fund sentiment towards ADMS over the last 5 quarters. With hedgies’ positions undergoing their usual ebb and flow, there exists an “upper tier” of noteworthy hedge fund managers who were boosting their holdings significantly (or already accumulated large positions). 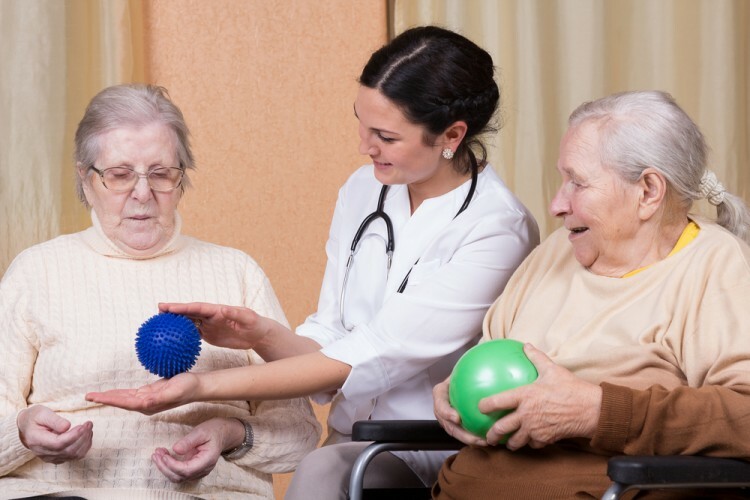 Of the funds tracked by Insider Monkey, Great Point Partners, led by Jeffrey Jay and David Kroin, holds the biggest position in Adamas Pharmaceuticals Inc (NASDAQ:ADMS). Great Point Partners has a $42.7 million position in the stock, comprising 10.9% of its 13F portfolio. Coming in second is Joshua Kaufman and Craig Nerenberg of Brenner West Capital Partners, with a $19.2 million position; the fund has 1.7% of its 13F portfolio invested in the stock. Other members of the smart money that hold long positions contain Howard Shainker and Akiva Katz’s Bow Street LLC, Millennium Management, one of the 10 largest hedge funds in the world and Ori Hershkovitz’s Nexthera Capital. We should note that none of these hedge funds are among our list of the 100 best performing hedge funds which is based on the performance of their 13F long positions in non-microcap stocks. Should You Get Out of UniFirst Corp (UNF) Now? Hedge Funds Are. Helen of Troy Limited (HELE): 73% Surge in Smart Money Ownership; What’... Is Vitamin Shoppe Inc (VSI) Going to Burn These Hedge Funds? Is Cabot Corp (CBT) A Good Stock to Buy? Vince Holding Corp (VNCE): Hedge Funds Keep Heading Elsewhere Is It Time to Buy Ultra Clean Holdings Inc (UCTT)? Smart Money Thinks So.